The countdown to Thanksgiving is on, and Fetchr is giving everyone in Dubai one more reason to be thankful, especially if you’re a fan of pumpkin pies! In the spirit of Thanksgiving, Fetchr has teamed up with Clinton Street Baking Company to deliver hot, freshly baked, FREE pumpkin pies to anyone in Dubai who orders through its app! The offer is available until Thanksgiving Day, which falls on Thursday 23rd November. So just place your order one day in advance, before 6pm, and a fresh pumpkin pie will be delivered straight to your door the following day. All set to gobble up that pumpkin pie? 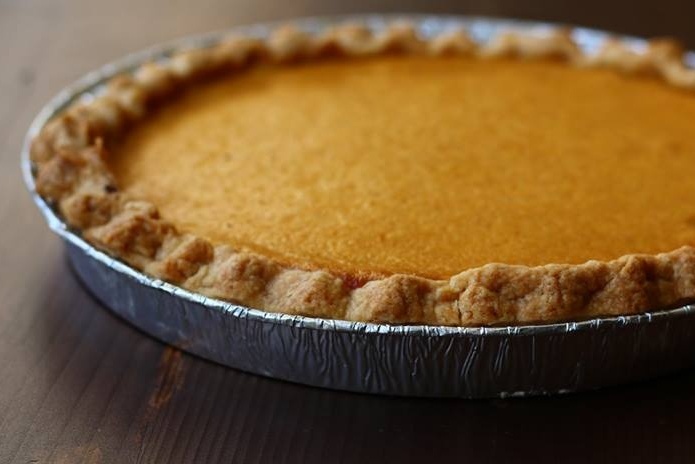 Get your friends and family together to enjoy the delicious pumpkin pie! Happy Thanksgiving to everyone celebrating, and we hope you enjoy stuffing yourself with turkey (and pies)!